This salad is a great side dish for Mexican entrées or can be used as a dip for tortilla chips to start the meal. Use the measurements as a guide, but feel free to tinker. 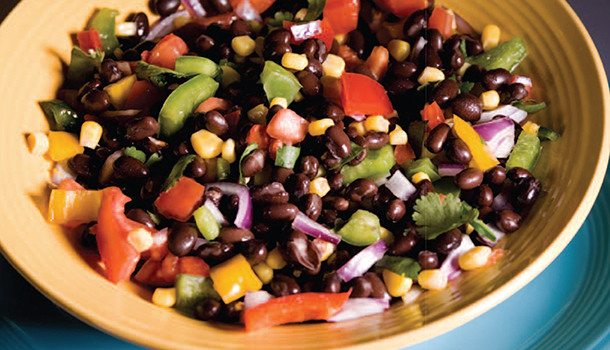 In a bowl, combine black beans, corn, tomato, bell pepper, onion, and jalapeño. In a bowl, combine lime juice, oil, and cumin and drizzle over beans. Season with salt and pepper and sprinkle with cilantro.